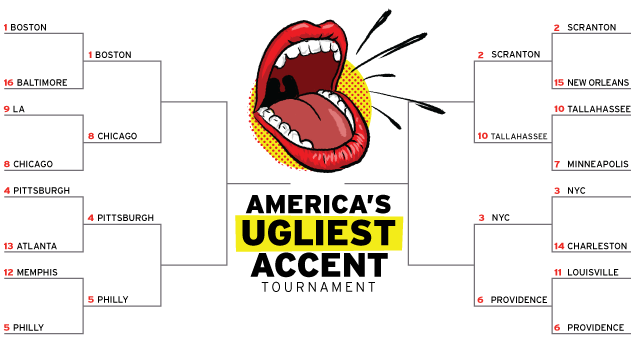 Scranton vs. Tallahassee and NYC vs. Providence go at it here. As the competition accelerates, remember that the prize is not only pride and a pat on the back from me at the Gawker office—the number one most hated scholar in the field of pseudolinguistics—but you also get to call the cell phone of editor-in-chief Max Read for one twenty-four hour period until the entirety of Ulysses has been read into his voicemail inbox. WHO WOULDN'T WANT THAT? For reference and to refresh your memories on what makes these cities so filthy, check our initial introductions here and here. And vote wisely.